269 pages | 41 B/W Illus. 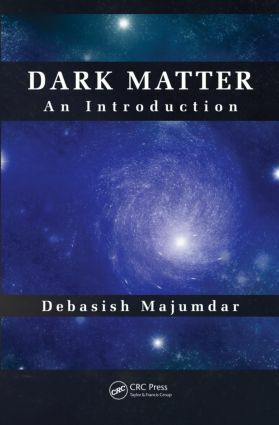 Complete with a detailed review of the latest dark matter experiments and techniques, Dark Matter: An Introduction is an ideal text for beginning researchers in the field as well as for general readers with an inquisitive mind, as the important topic of astroparticle physics is treated both pedagogically and with deeper insight. "… well-chosen references. Altogether, the present work is intended for young researchers pursuing a research career in dark matter in particular, or astroparticle physics or cosmology in general. But the book contains also discussions, which are of interest to a more advanced reader interested in astrophysical aspects of dark matter." Debasish Majumdar is a professor in the Astroparticle Physics and Cosmology Division at the Saha Institute of Nuclear Physics, Kolkata, India. His research interests include dark matter, dark energy, neutrino physics, and a statistical approach to nuclear-level and strength densities. He did his Ph.D work at the Physical Research Laboratory, Ahmedabad, India. A widely published and respected dark matter research pioneer, he has visited such prestigious institutions as CERN, Geneva, Switzerland; Fermilab, Chicago, Illinois, USA; The Abdus Salam International Centre for Theoretical Physics, Trieste, Italy; and University of Oxford, UK as a researcher and a speaker.